The Amana Meat Shop was established in 1855 when German-American settlers formed the Amana community. To provide for its members, each village had a meat market where ham, bacon and sausages were cured the old world way with long held recipes and a commitment to quality. 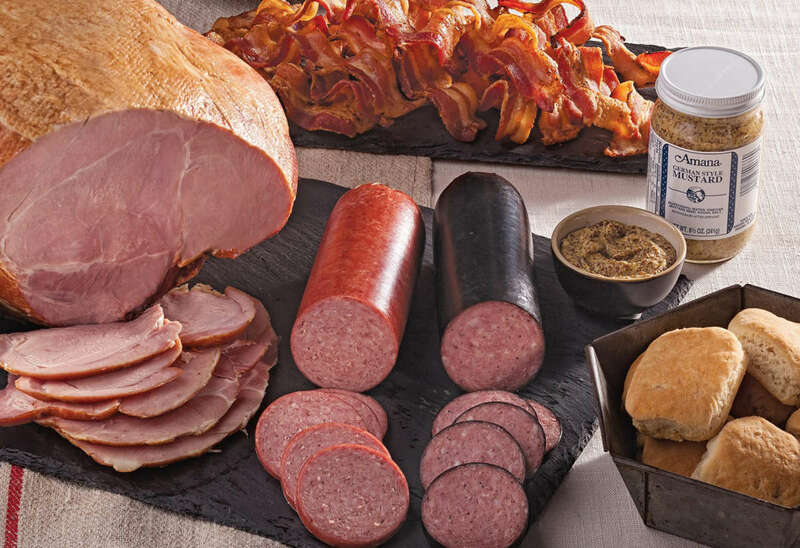 Today, the Amana Meat Shop continues this commitment to quality meats and specialty foods - they invite you to taste the difference. Samples offered seven days a week.